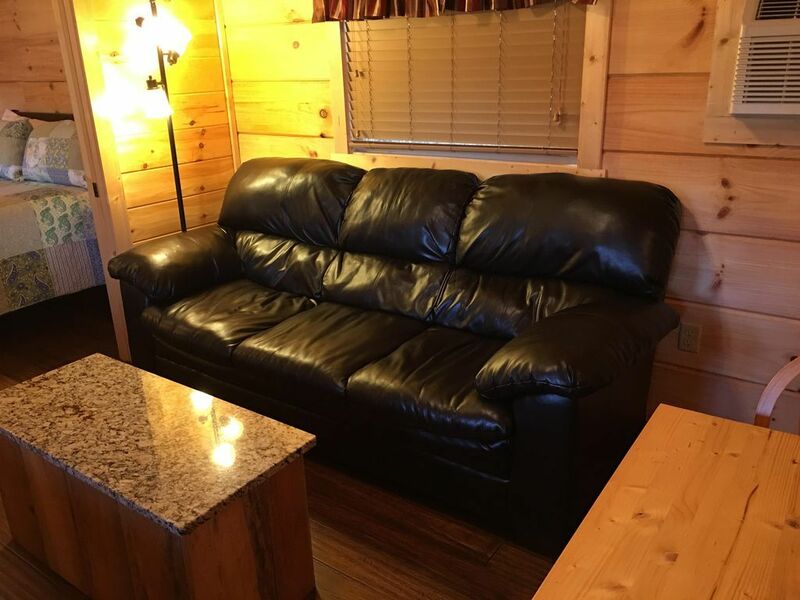 Get N Lucky cabin has many rustic touchs including a over sized couch in the living room with log end tables. 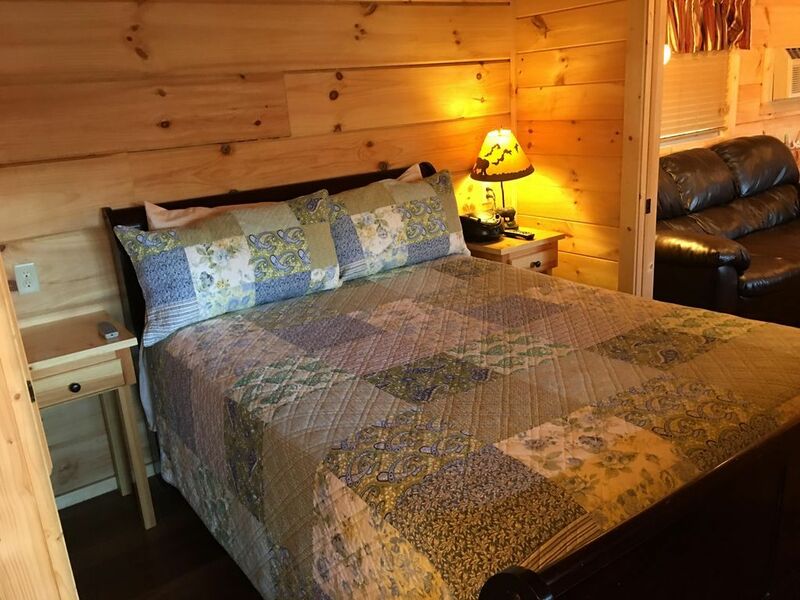 The bedroom has a Queen bed with egyptian cotton sheets and a 100% cotton quilt.Cell phone service is minimal, wifi is not great in this cabin. 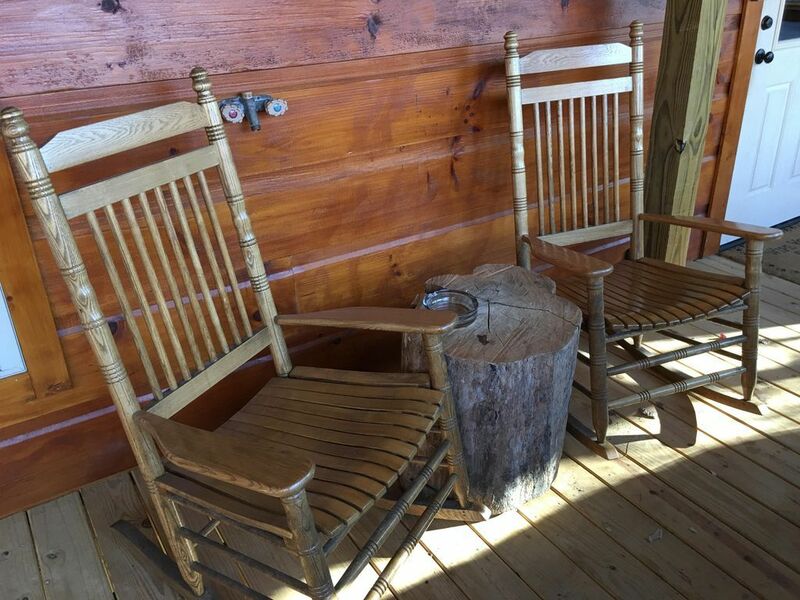 The porch has a 4 person hot tub, gas grill and two rocking chairs and a table so you can cook and eat that big catch or juicy steak. 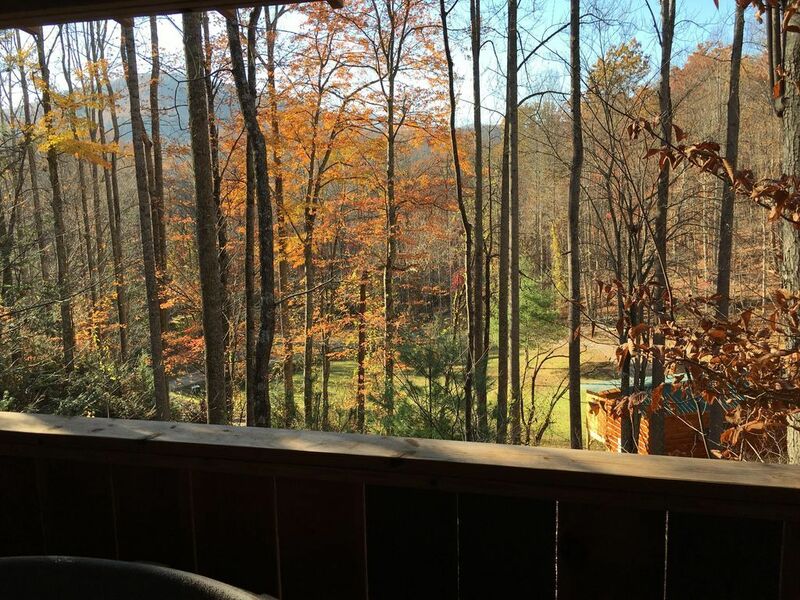 This cabin overlooks a hidden mountain field adjacent to the Pisgah National Forest. 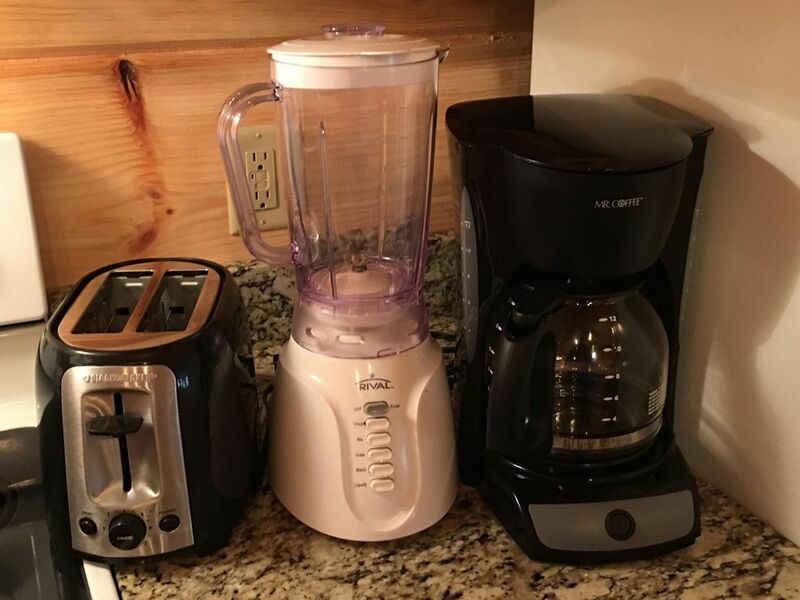 This cabin is pet friendly!!! Very nice small cabin for a quiet get-away. 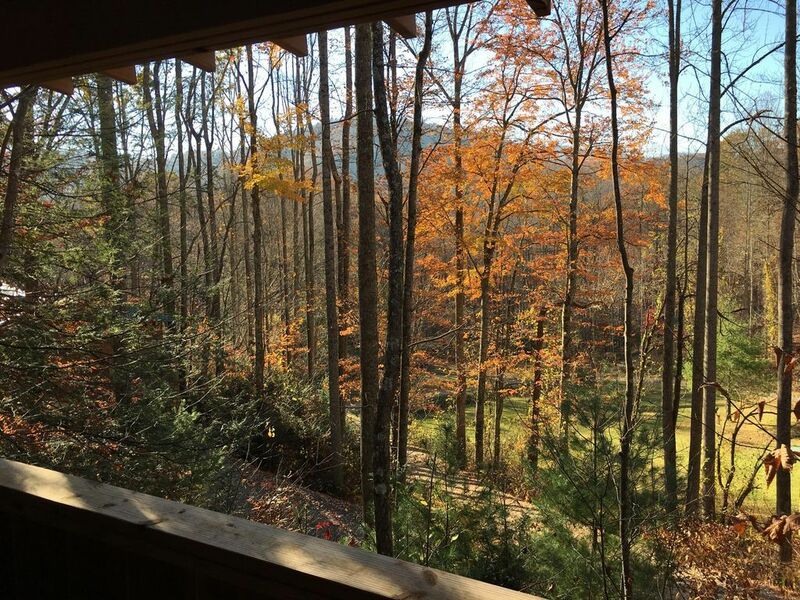 Cabins are set on a steep asphalt drive - several cabins in the Cabins Of Asheville setting. Close to area things to do - waterfalls/ parks - but off the beaten path. 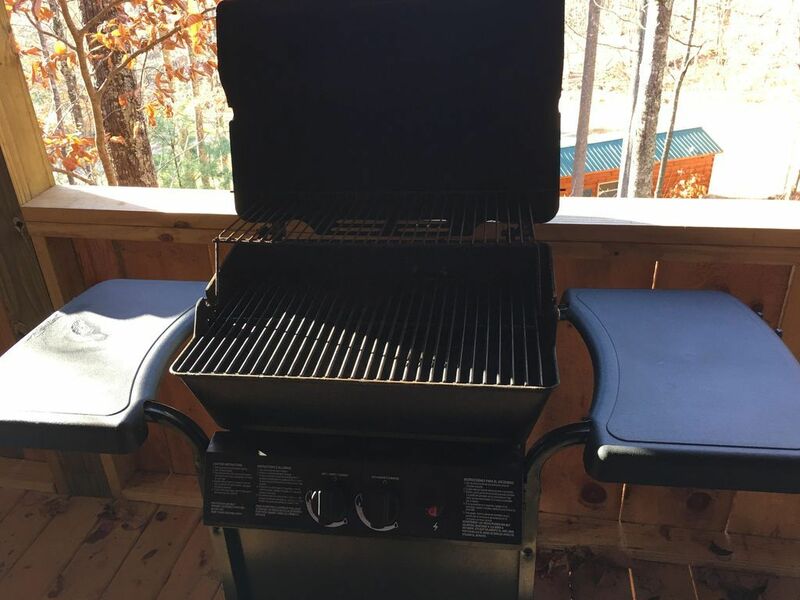 Very well maintained- everything was clean and everything was in great shape. Best little cabin! So clean! Great getaway for our honeymoon! 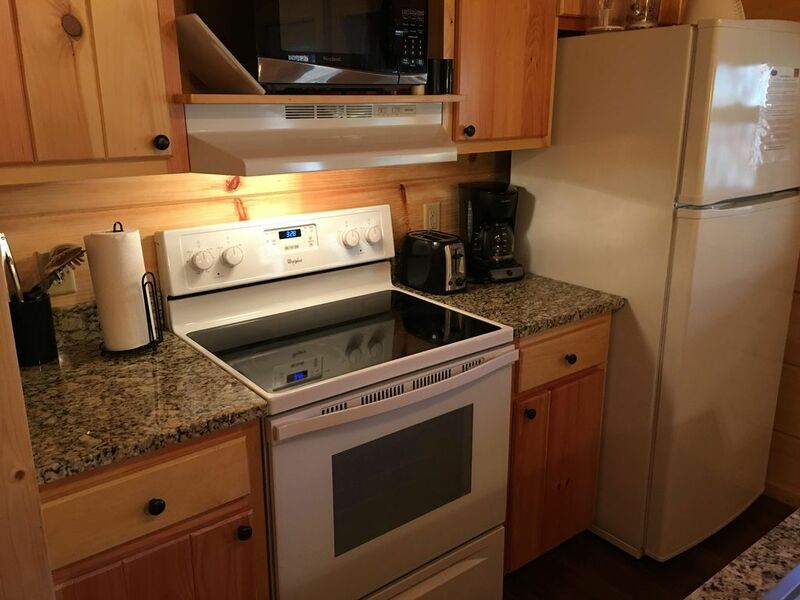 We had such a great time in our cabin, from the hot tub, to cooking, to the comfy bed and sofa. Everything was so clean... not a bug anywhere. Great Dish TV also for when it rains! 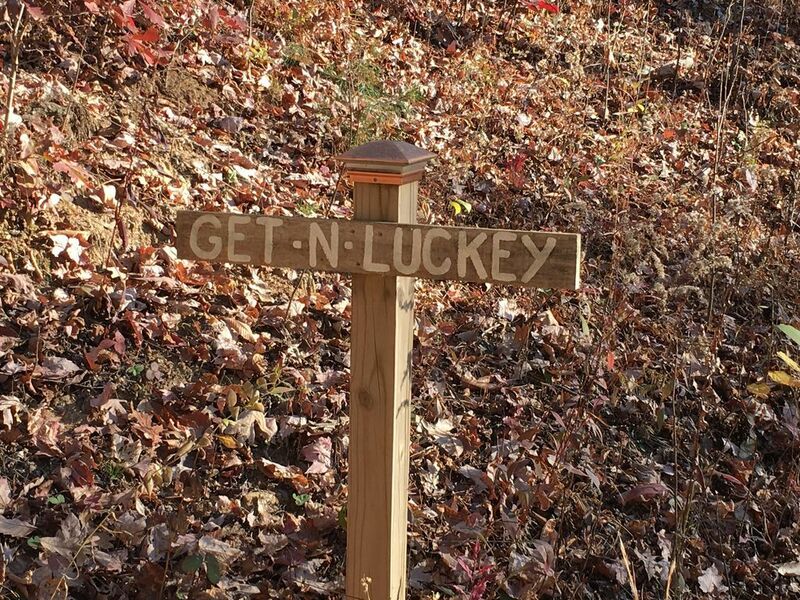 The driveway is tricky. 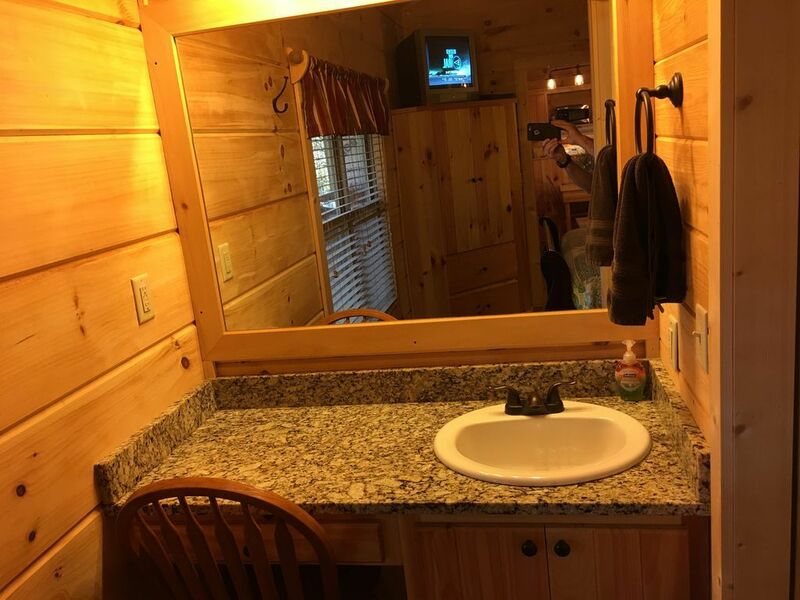 And there are other cabins all around, but the angles at which the cabins were built and the space between each cabin provides privacy. We really enjoyed ourselves and will be back for our anniversay! 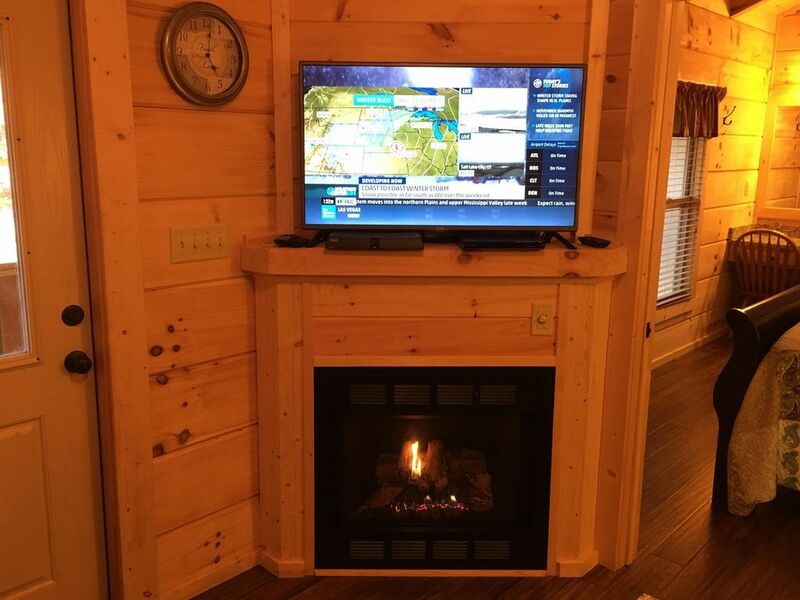 We could not have asked for a more perfect cabin. 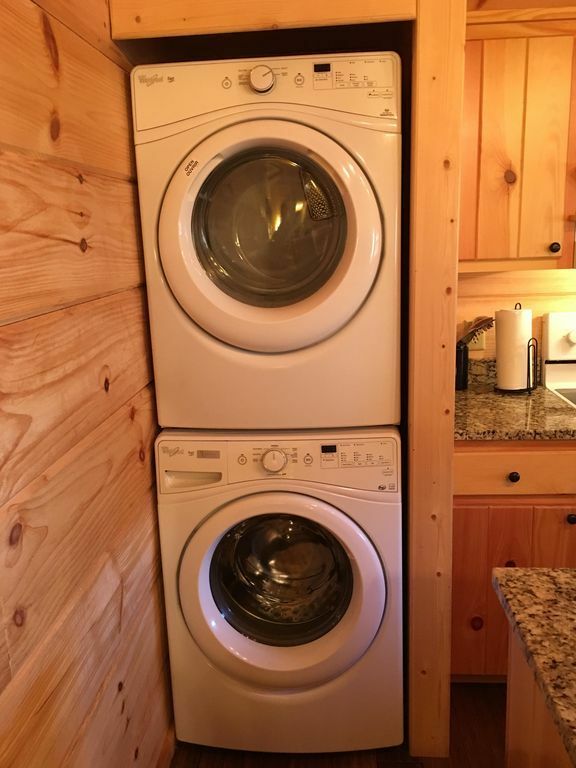 This well designed cabin was clean and had everything we needed including a great hot tub. 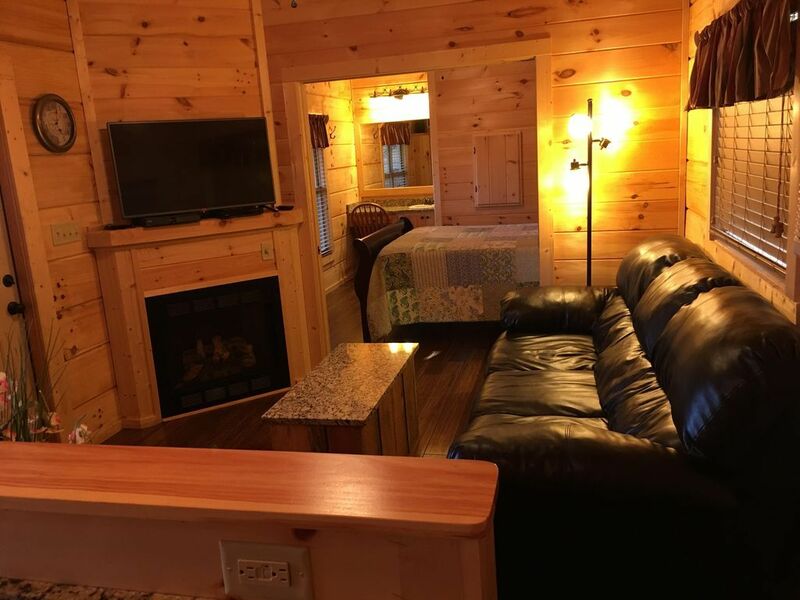 I would definitely recommend this cabin to my family and friends and we look forward to returning in the Fall for another long weekend. 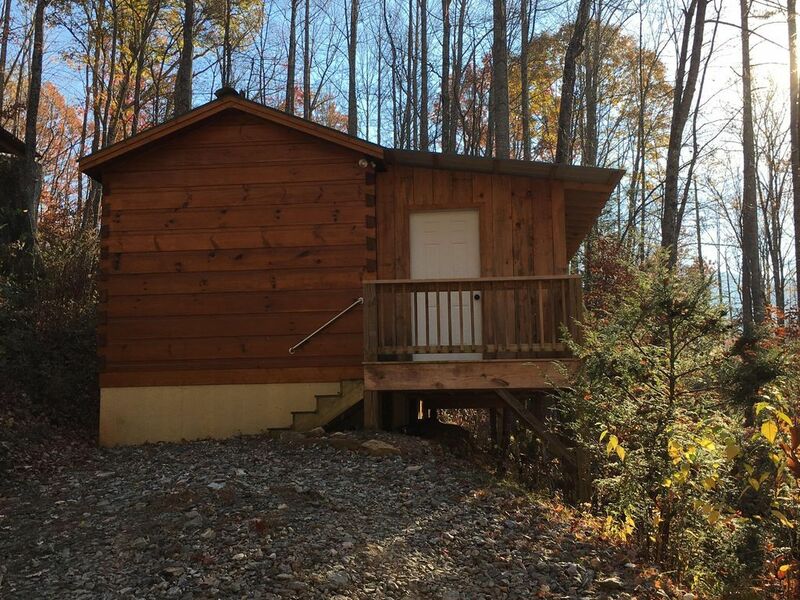 This cabin is perfectly situated only a short drive from Asheville but there's plenty of restaurants in Candler as well. Thank you. This cabin was exactly as advertised. My wife, dog, and I loved it! Spotless upon arrival, the hot tub was heated and bubbling. 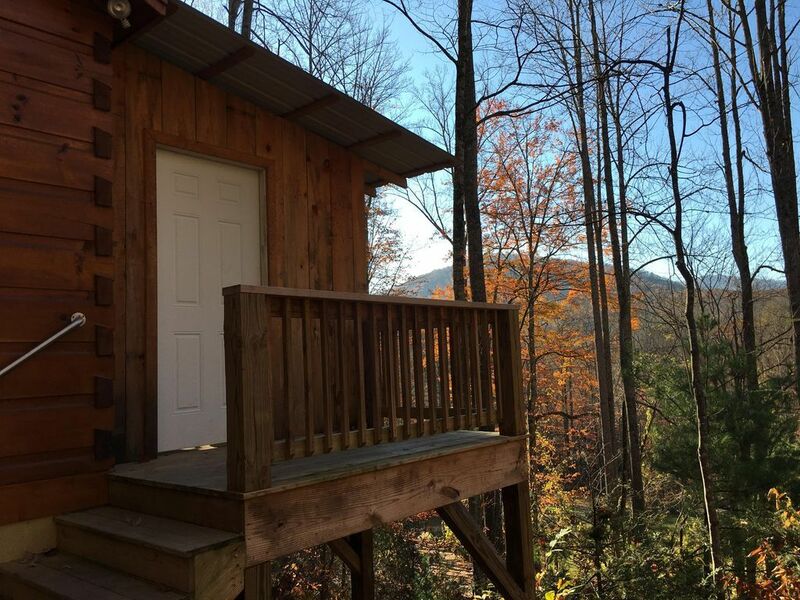 This cabin faces west so we could watch the sun set in the distance behind the mountain through the trees distance . Tree frogs serenaded us each evening on the porch. 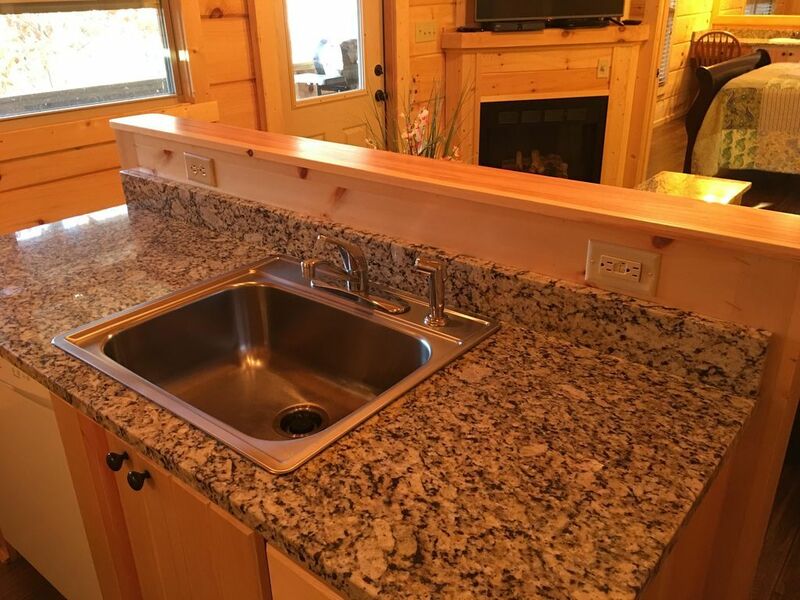 The owners clearly put a lot of thought and effort into the cabin builds, furnishings, orientation, ambience, etc. 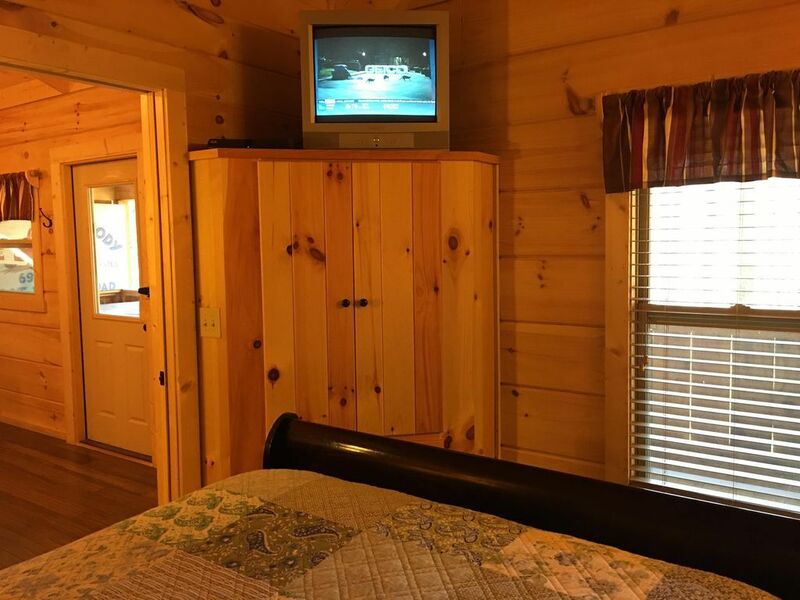 Very private, secluded and relaxing even with several cabins on the property. 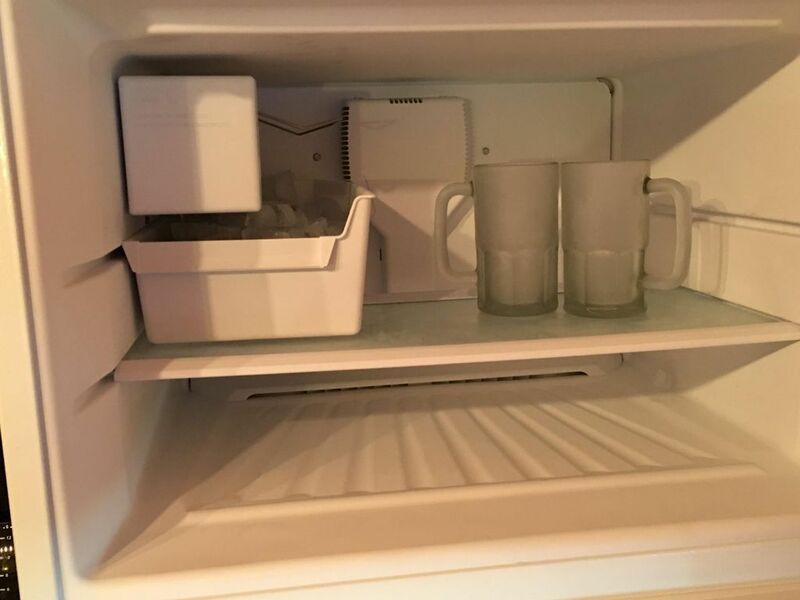 Our cabin was well stocked with cookware, linens, paper products, glasses, laundry/dish detergents, and even coffee filters. 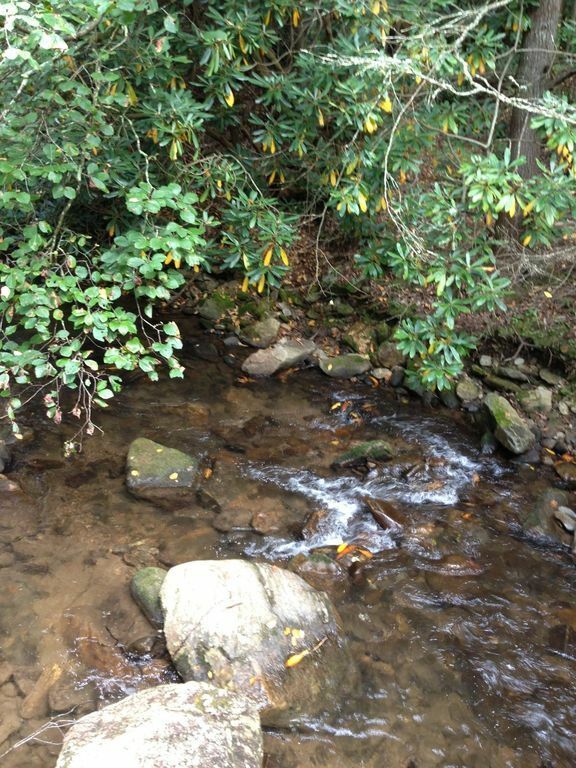 The Blue Ridge Parkway is about 4 miles up the road via Pisgah Highway and many attractions are a scenic drive away. 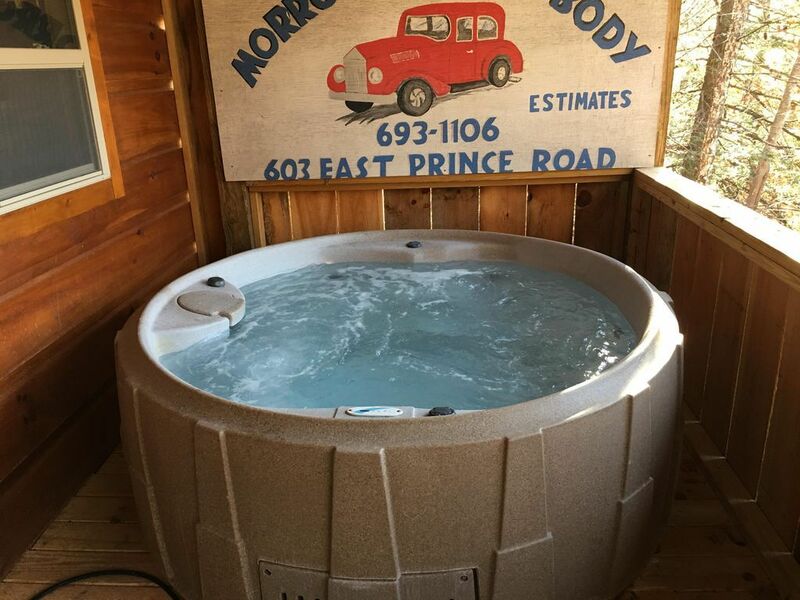 Great place to come back to after the day's adventures, relax in the hot tub and unwind. Wi Fi and satellite TV worked well but there is no cell service. Since my wife and I are wed to each other and not our phones, this was no problem, ha,ha. We'll definitely be back and would recommend this to couples looking for a romantic getaway. 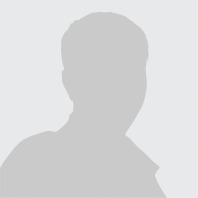 Booking was seamless and we never contacted the owners since there were no issues. Stayed for a visit to the Biltmore, cabin is about 20 minutes from the estate and very close to the Blue Ridge Trails as well. My husband and I had a fantastic time at this cute cabin! Everything was extremely clean, and there was romantic music playing when we entered! The driveway was EXTREMELY steep, very glad we had four wheel drive for this, but everything was genuinely amazing! 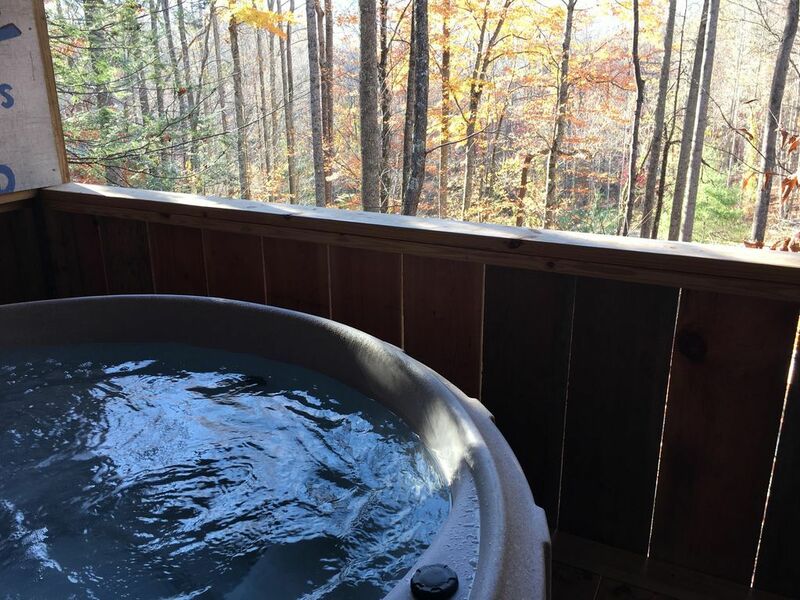 This was our 2nd year in a row renting at Cabins of Asheville. 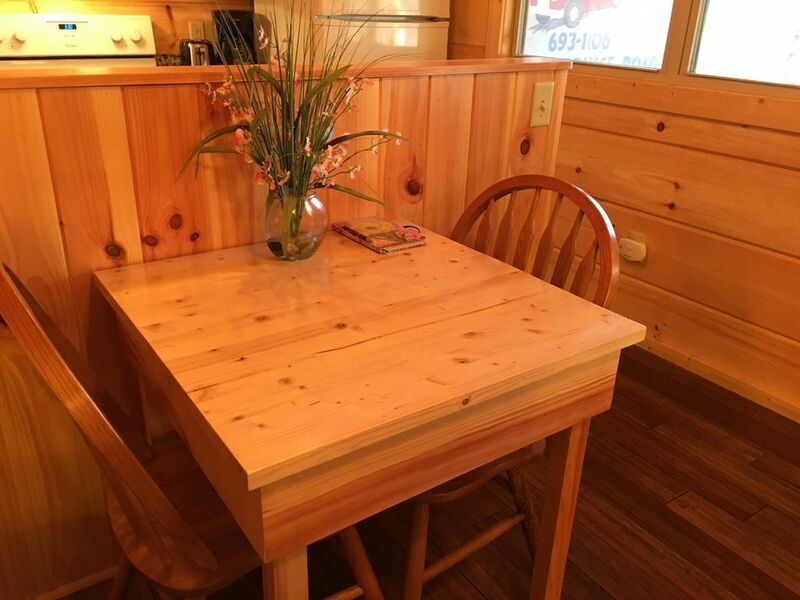 We enjoy everything about the cabin, location and privacy afforded by this unique property. 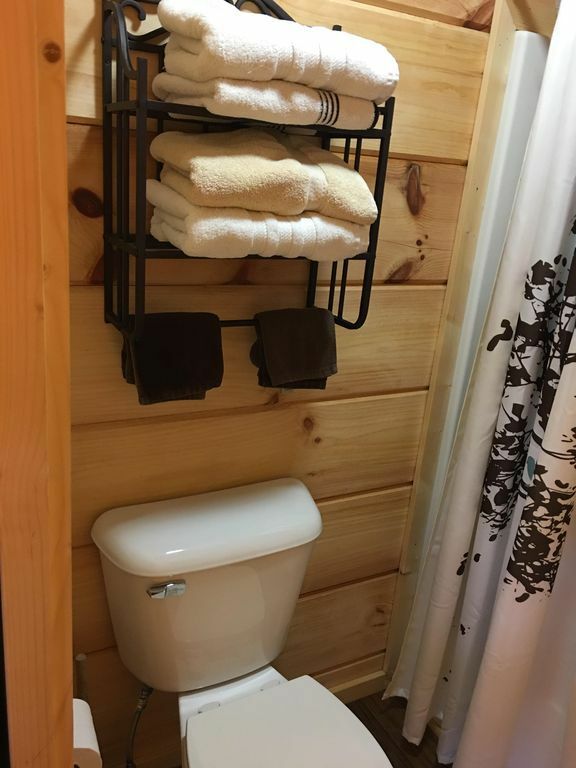 The cabins are well equipped with all the necessities and more. A couple of tips: if you like firm mattresses bring a bed topper as our mattress was super soft. Also, if you have a small car you may find the unpaved entrance road and steep grade challenging as you approach the cabins. We look forward to returning. Cute and quaint. We really enjoyed the hot tub! It worked great as we have had bad experiences in the past. 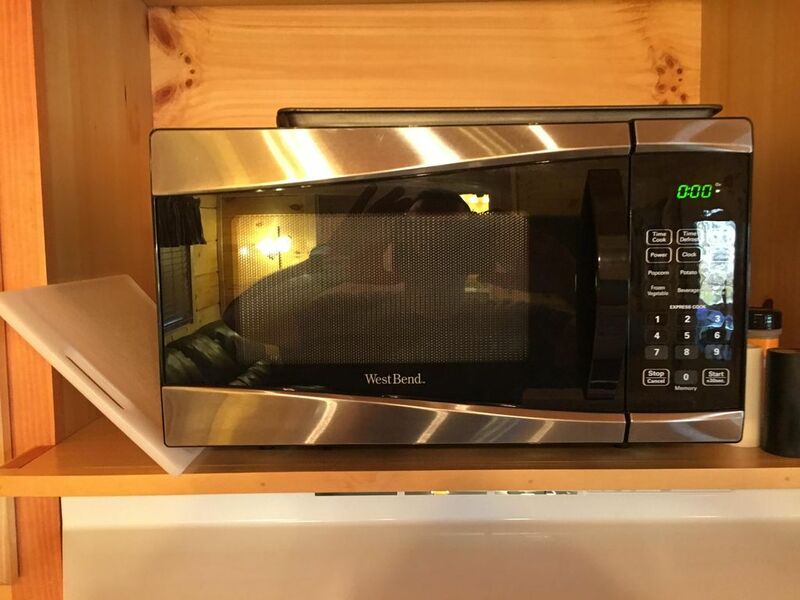 The cabin had everything we needed. Would def recommend!